The prevalence of Alzheimer’s and dementia in our society is an issue that worries many and has scientists conducting a plethora of studies on any and every potential breakthrough. Though there is no guaranteed way to prevent Alzheimer’s and dementia, over the years, many prevention methods have been discovered as effective at reducing the risk. More than 5 million Americans are currently suffering from Alzheimer’s or another form of dementia, which now ranks as the 6th leading cause of death in the United States. Taking an active role in your current and future health can have a big impact on the risk that you will ever need long term care, especially for dementia. Studies have shown that exercise and mental engagement both can significantly reduce the risk of dementia. But what about the food we eat? Can it have an effect on our risk of cognitive decline? Turns out, the food we eat can have a huge impact on our brain. Eating the proper foods can cut our risk of dementia, and studies have shown that there are a number of foods and nutrients to seek out in particular. Eating to prevent dementia doesn’t entail a specific meal plan, but rather means including more of certain foods and less of others. If you have a family history of dementia and are concerned about your risk, or are simply opting for a healthier lifestyle, adjusting your diet may help you in your mission. A number of studies found that foods high in antioxidants, such as fresh fruits and vegetables, can help in reducing dementia risk. More recently, however, it was discovered that this is not the case for all antioxidants, and Vitamin E seemed to be the only nutrient that had a significant affect on lowering risk. Though adding fresh fruits and veggies to your diet always helps, be sure to include some that are Vitamin E powerhouses! Foods high in Vitamin E include dark, leafy greens like spinach or swiss chard, nuts like almonds or peanuts, and seeds like sunflower seeds. Be sure to eat these foods in their whole state to obtain the highest amount of nutritional value. Omega 3 fatty acids are also an important source of nutrients to people who are aging, as they help prevent cognitive decline and keep the brain functioning at a healthy level for longer. Eating fish like salmon or mackerel once a week will provide you with the essential acids your brain needs to remain sharp. Avoiding foods high in saturated fat is another key component to maintaining a healthy brain and keeping dementia at bay, according to a recent small-scale study. Understanding how different nutrients affect your body can help you navigate what foods you should or shouldn’t eat to maintain a good memory and other stable cognitive functions. Dementia, whether Alzheimer’s or another type, is the leading reason for needing long term care in the United States. Current estimates place unpaid care for dementia patients at more than $216 billion every year, according to the Alzheimer’s Association. Working to prevent this disease will help our nation’s caregivers take a break from the stressful and exhausting job they work too frequently. 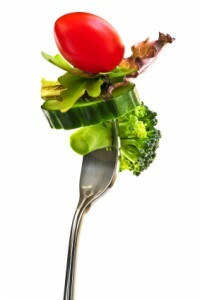 Nutrition is key to good long term health, and good health is key to staying out of long term care. We help provide our clients with the information they need to make informed decisions about their long term care planning. Maintaing your health can help you get a lower rate on long term care insurance, when the time comes to purchase a policy. Learn more about your risk of needing long term care or get an objective comparison of the top companies today.